Hailing from Holland, Boska have had a deep love of cheese for over one hundred years, ever since a man named Willem Bos made cheese tools for the dairy farmers of Gouda. You’ve heard of Gouda, right? Yes, Gouda as in Gouda cheese! These days, Boska are still making tools for those who love to explore the world of cheeses (however, there’s no room for plastic, pre-sliced cheese in Boska’s world, no sir). They’re happy to provide you with cheese slicers, graters, fondues, knives, boards, curlers and more – everything but the cheese itself! Monaco is as stylish as its namesake, selecting eye-catching materials in order to produce unique serving methods that accentuate the enjoyment of fine foods with friends. Within this collection, smooth stainless steel contrasts with rough-edged slate for an earthen yet highly contemporary look, and slate pieces can be written on with chalk to announce your menu. Made from natural slate, with satin-finish stainless steel. Knife has been designed for use with soft cheeses; the holes in the blade stop cheese from clinging to it. Hand wash board; knife is dishwasher safe. 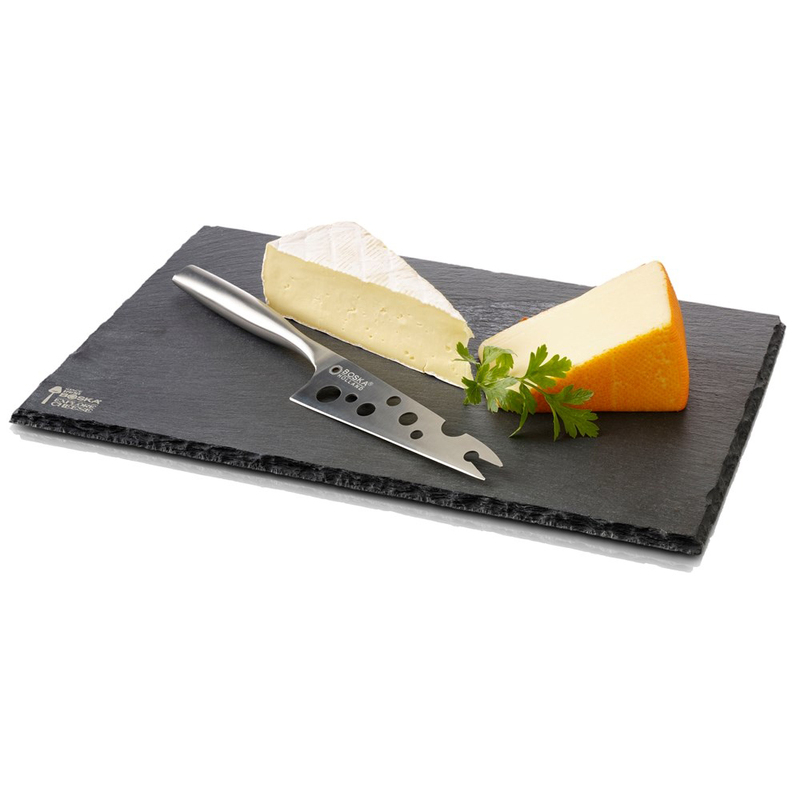 Slate Cheese Board – 33 x 23.5cm.